I’ve finally got things together to get a portfolio of my personal artwork online. More to come very soon. 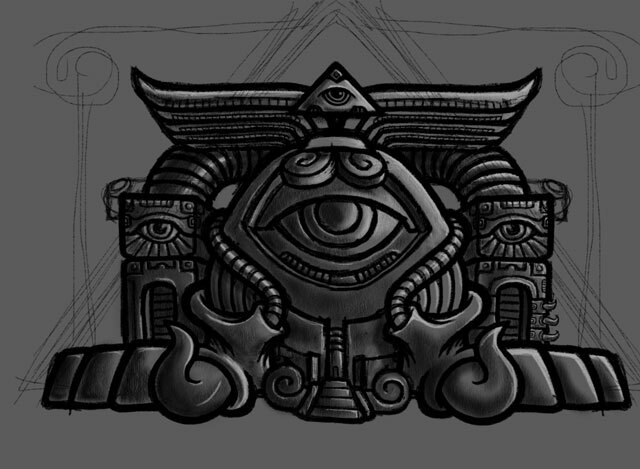 The “Egg Temple” sketch above is part of a new series of digital illustrations I am currently working on. The sketch was created in the excellent drawing and painting app Procreate for the iPad. Check out the color version of the Egg Temple sketch. This entry was posted in Art and tagged art, drawing, illustration, mystical, occult, psychedelic, sketch, temple. Bookmark the permalink.